As the name implies, catastrophic injury has permanent, far-reaching consequences. Often the result of car accidents or sports injuries—and sometimes caused by recreational activities like snowmobiling, boating, diving, and fishing—catastrophic injury includes spinal cord and brain injuries, along with damage to spinal vertebrae. It can also mean skull and spinal fractures. Most often, catastrophic trauma results in injury to the cervical spine. This is the area between the base of the skull and the base of the neck. Damage to this area can cause cardiovascular issues and breathing problems. A cold or respiratory flu, which most people might consider a minor inconvenience, can linger for weeks, due to breathing impairments. Digestive problems and bone diseases, such as osteoporosis, are not uncommon for spinal cord injury patients. The condition can affect thought processes and neurological functioning, even causing emotional upheaval and personality changes. 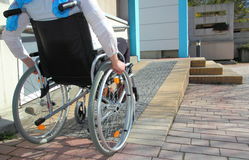 In everyday life, catastrophic injury can mean loss of mobility and constant wheelchair use. Simple motor functions, such as the ability to swallow or eat independently, may also be affected. Patients may require permanent catheterization and assistance with basic daily tasks such as dressing and bathing. When your world is turned upside down by catastrophic injury, you need care that you and your loved ones can depend on. The experienced staff at Assured & Associates is there for you, with Registered Nurses (RNs), Licensed Practical Nurses (LPNs), and Certified Nursing Assistants (CNAs) who are trained to provide highly competent, reliable health care. If you live in Atlanta, Douglasville, Alpharetta, or Marietta, or anywhere in DeKalb County, Assured & Associates can give you or your loved one the intensive home care that you need. We recognize that most families don’t have the time or resources to provide the extensive care necessitated by catastrophic injury. Whether you need a pair of skilled hands to help with the morning or evening routines, someone to assist your loved one during the day, or overnight care, Assured & Associates can meet your needs. We’ll ensure that the correct medications are taken on-schedule and in their proper dosages. We’ll prepare nutritious meals and snacks and assist the patient in eating them. We can conduct physical therapy, keeping paralyzed limbs limber and staving off muscle atrophy. From administering breathing treatments to applying pressure garments to ward off edema, Assured & Associates will be with you and your loved one every step of the way. One of the special challenges faced by patients with catastrophic injury is transportation. Many catastrophic injury patients are no longer able to drive and cannot easily ride in a normal vehicle. Assured & Associates can help you or your loved one travel safely and comfortably within DeKalb County, Alpharetta, Douglasville, Marietta, or Atlanta. Our wheelchair lift vans are specially equipped to easily move non-ambulatory clients, eliminating the need for chair transfers. Our courteous and reliable staff will do everything necessary to make travel less daunting and much more pleasant for our clients with a catastrophic injury. Whether you need home care, travel assistance, or other help for a catastrophic injury patient, call Assured & Associates today at (678) 391-0140, or send us an email at info@assuredandassociates.com. We’re always here for you, and glad to do everything we can to help.